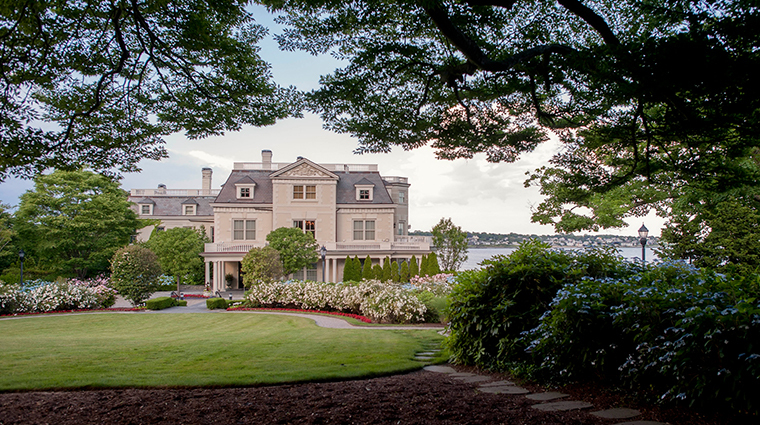 A palatial mansion completed in 1873 as the summer residence of New York Congressman John Winthrop Chanler, The Chanler blends the opulence of Newport's storied Gilded Age with the exquisite luxuries and amenities of today. Driving through The Chanler's main gates, you get the impression that you're arriving at someone’s grand private residence rather than a place of business. Although it's just a short distance from downtown Newport and overlooks The Cliff Walk, one of the city's most admired attractions, the Forbes Travel Guide Four-Star hotel and its five-acre estate is designed to be a restful, romantic sanctuary away from — yet close to — the action. Enjoy The Chanler's stunning ocean views, take a stroll around its beautifully tended gardens, dine at Cara, the hotel's renowned restaurant and even pamper yourself with luxurious in-room spa treatments. This, and much more, is all available to you at the luxury hotel. 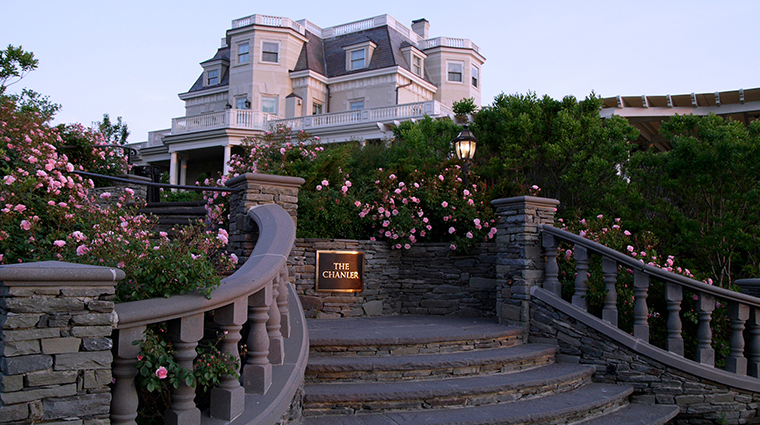 Boasting panoramic ocean views, The Chanler sits atop the northern end of Newport's famed Cliff Walk on tree-lined Memorial Boulevard, a charming street with wide sidewalks, which helps make leaving The Chanler to explore the city by foot a pleasant experience. It is the only hotel located directly on The Cliff Walk, a 3.5-mile walking path set between the city's stunning shoreline and the stately mansions of Newport's storied past. Guests of the Forbes Travel Guide Four Star hotel enjoy easy access to attractive Easton's Beach (a stone's throw away), and are within a mile of both trendy Bellevue Avenue and bustling downtown Newport. When planning the guest rooms of the Forbes Travel Guide Four Star hotel, the owners took great care to choose furniture and fabrics made to look authentic to each room's historic time period (Victorian, for example) or theme (Mediterranean). 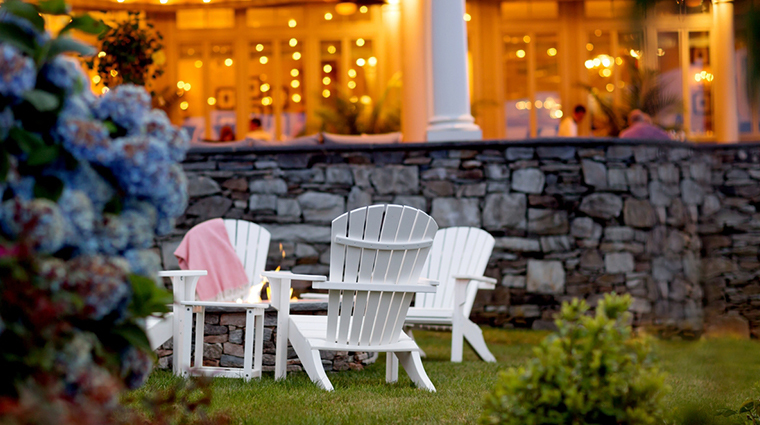 Each season has a distinct draw for guests of The Chanler. 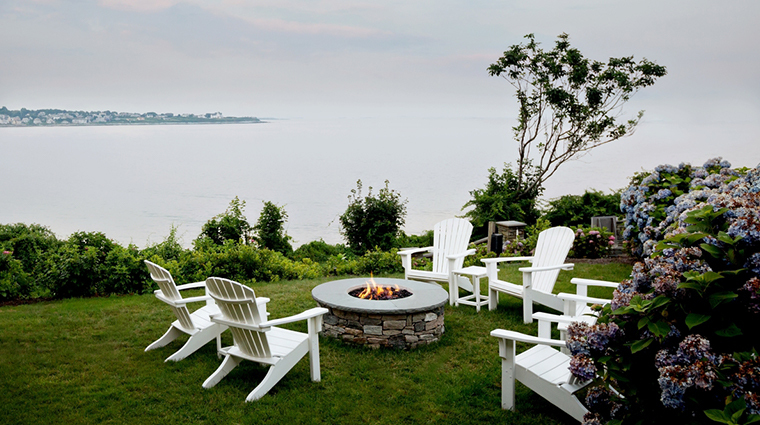 Newport is mainly a summer resort town — the time of year when both the city and the hotel are most lively — so that’s when you will see the majority of warm-weather lovers looking to take advantage of all the outside activities. The cooler seasons, however, have their own appeal, particularly to guests who enjoy less congestion — not to mention the chance to cozy up in front of a roaring in-room fireplace. In addition, every holiday season the Forbes Travel Guide Four Star hotel is decorated with a different theme, drawing repeat guests who look forward to the new holiday trimmings each year. 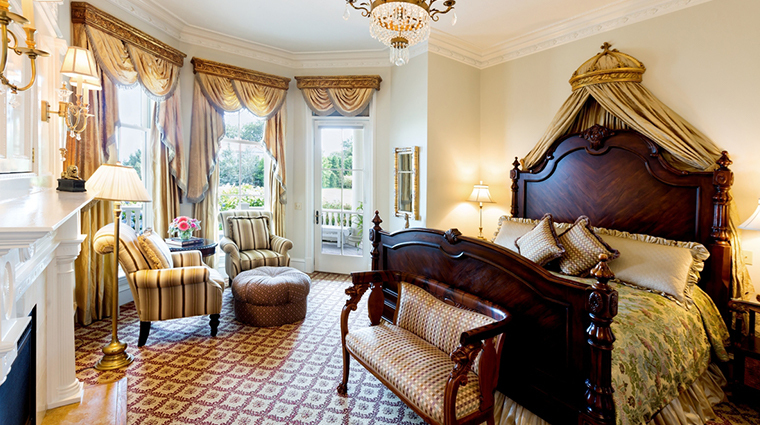 There are 20 guest rooms at The Chanler, each custom designed and elegantly decorated. In addition to the lovely rooms located inside the mansion, the Forbes Travel Guide Four Star hotel offers Garden Villas and Ocean Villas that are accessed by their own private outdoor entrances. 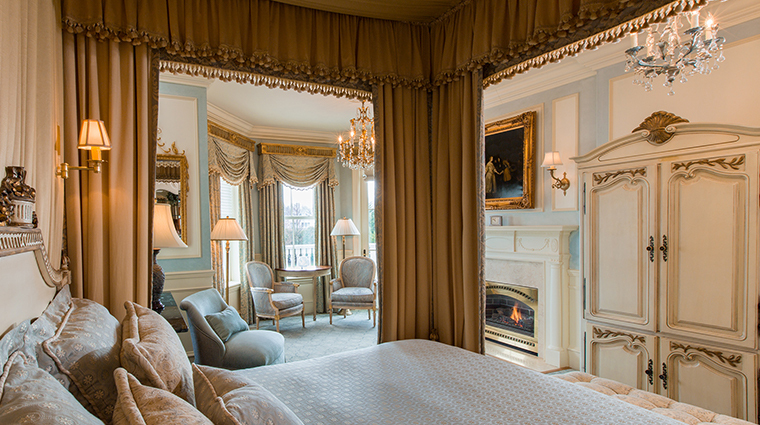 All guest rooms at The Chanler include fireplaces, wet bars, chandeliers and heated bathroom floors, and most feature oversized Jacuzzi tubs. 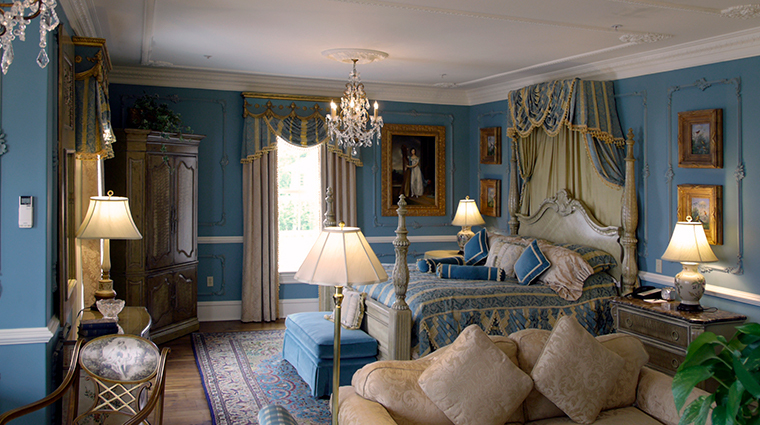 The mansion's guest rooms each have a specific theme, ranging from Victorian to Mediterranean and Renaissance. The rooms differ slightly in size and scope, with some featuring stunning ocean views, and others boasting expanded interiors. The Newport hotel’s Garden and Ocean Villas add a little extra romance with their private outdoor hot tubs, courtyards and deck spaces. All of the Ocean Villas provide brilliant water vistas and private saunas. 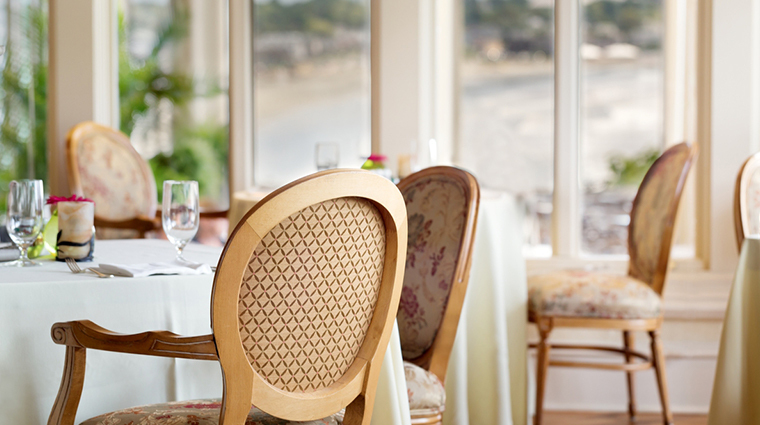 The Chanler offers the epitome of fine dining with a view at Cara. Located right inside The Chanler mansion, this sophisticated and upscale restaurant only serves dinner, and is the main dining attraction at the Forbes Travel Guide Four Star hotel. Cara occupies prime real estate in the mansion, allowing diners to take in views of The Cliff Walk and the beautiful Newport shoreline. 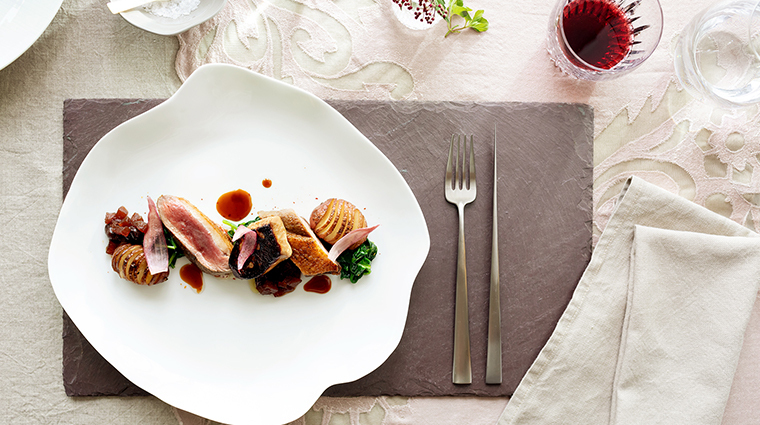 Its cuisine draws on French, Italian and Spanish influences. Those looking for a more casual dining experience can grab a bite at The Café, which serves breakfast, lunch and dinner. The Café focuses on New England cuisine with a Mediterranean twist. When the weather permits, take a seat on the terrace at The Café to get up-close vistas of Newport's Cliff Walk.